My view is that we all have conflicts of interest. 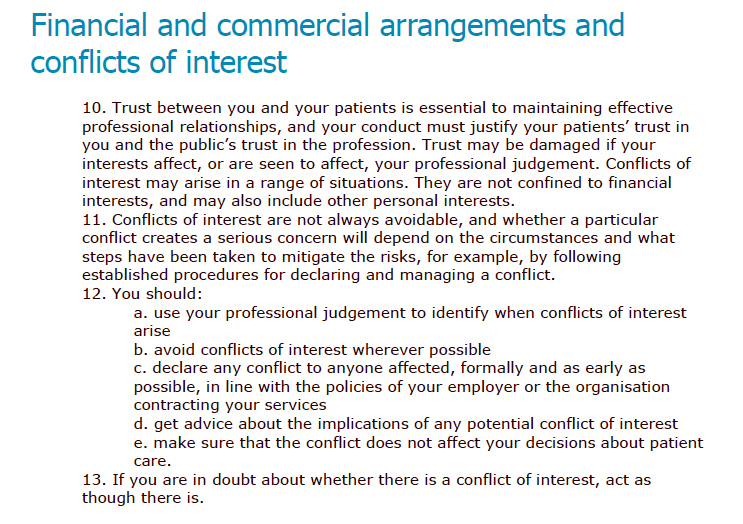 Science however cannot ignore financial conflicts of interest. The above was a recent statement by the Scottish Government in response to my petition for a Sunshine Act. 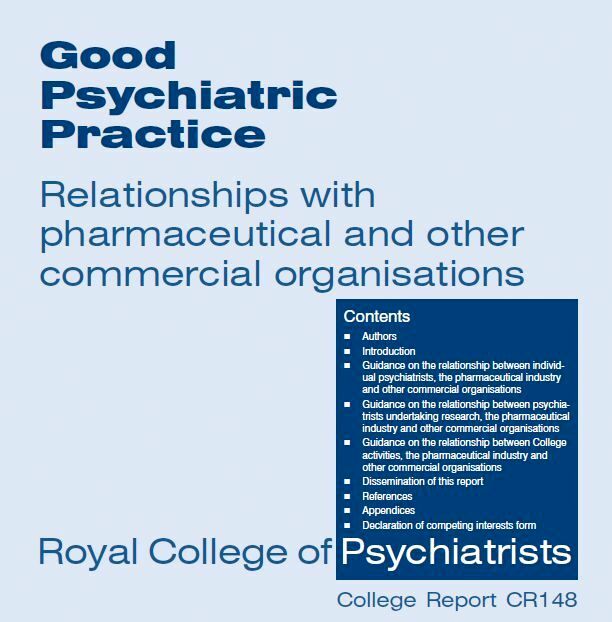 My experience in asking, as fairly and politely as I can, about the governance of: “Good Medical Practice” (General Medical Council); NHS Scotland (HDL62) and Royal College of Psychiatrists (CR148) has met with calls of being “unprofessional”.